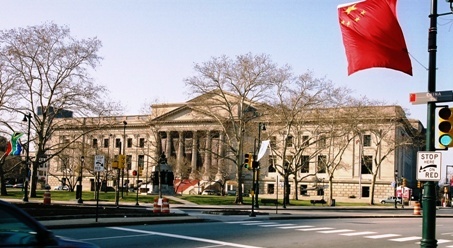 The Franklin Institute was founded in 1824 to honor Benjamin Franklin and the utility of his inventions. Originally located in Independence Hall, the Institute moved to a location on 7th Street (now the Atwater Kent Museum) and was located there for almost one hundred years. In 1934 the museum opened at its current location on the Parkway. Continuing Benjamin Franklin's passion for learning and discovery, this multi-faceted institution has something of interest for everyone. From the Wright Brother's aeronautical engineering collection to a walk-through model of the human heart, the museum is a place of diversity of interest. Exhibit halls, Imax films and the Fels Planetarium offer a day of wonder, visiting the various parts of the museum.